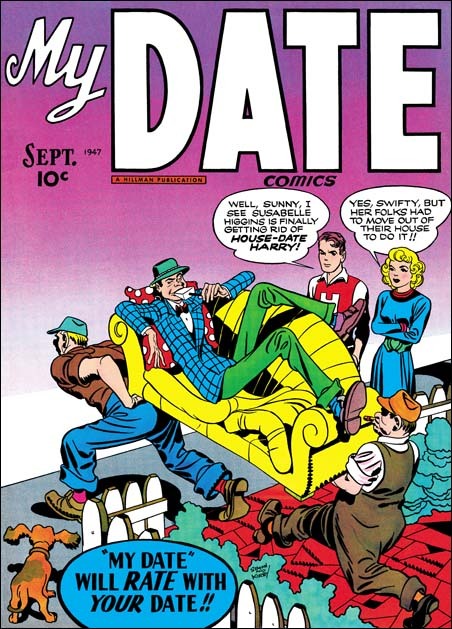 Posted August 4, 2006 in 2006/08, 4 DC (early), 5 Studio, Artists, Periods, Prize, Robinson, Jerry, z Archive. 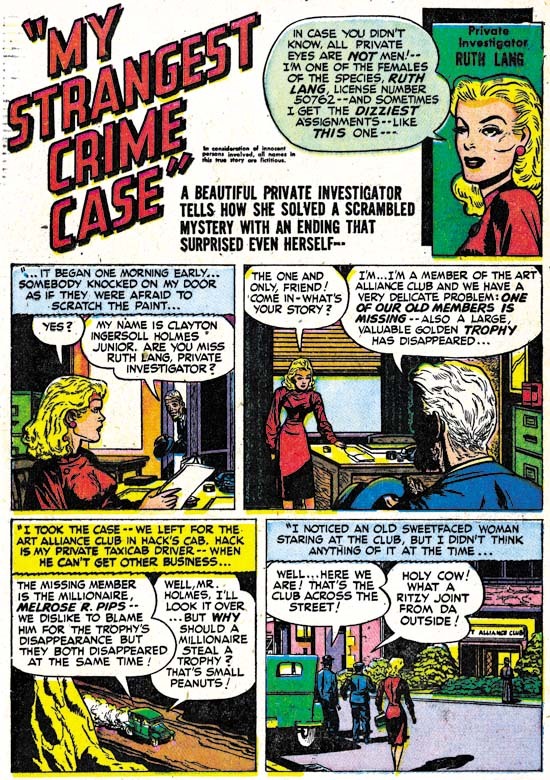 In my post of the S&K usual suspect John Prentice I provided a scan of In Love #1 which was jointly done by Kirby and Prentice. 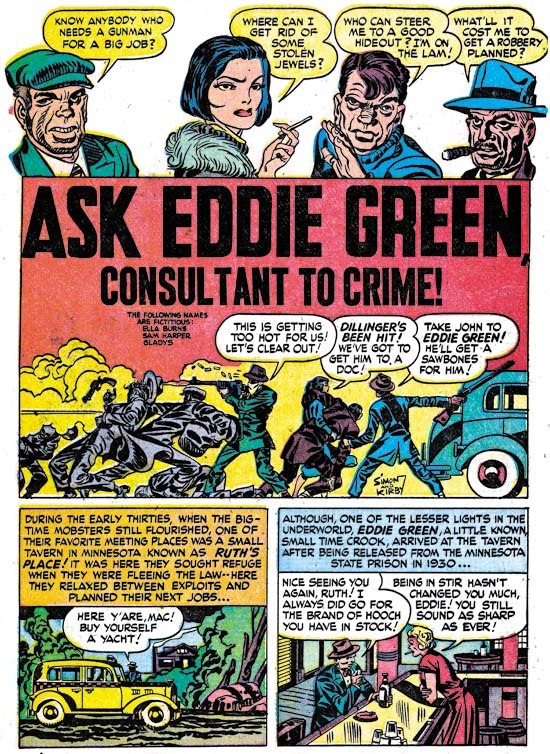 As I mentioned in that post, if we exclude work with Joe Simon and also unrelated inserts, there was only one other example of a cover where Kirby shared pencil duties with another artist. 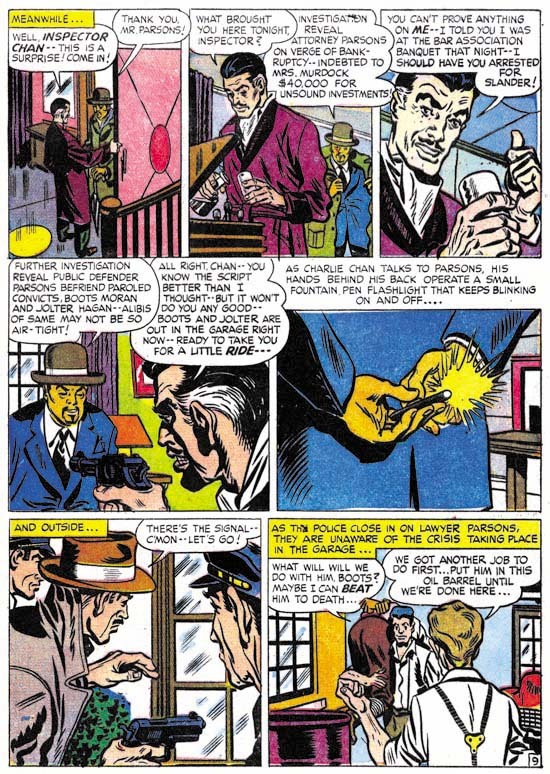 Here I am fulfilling my promise to post on that other example which was Detective #65. 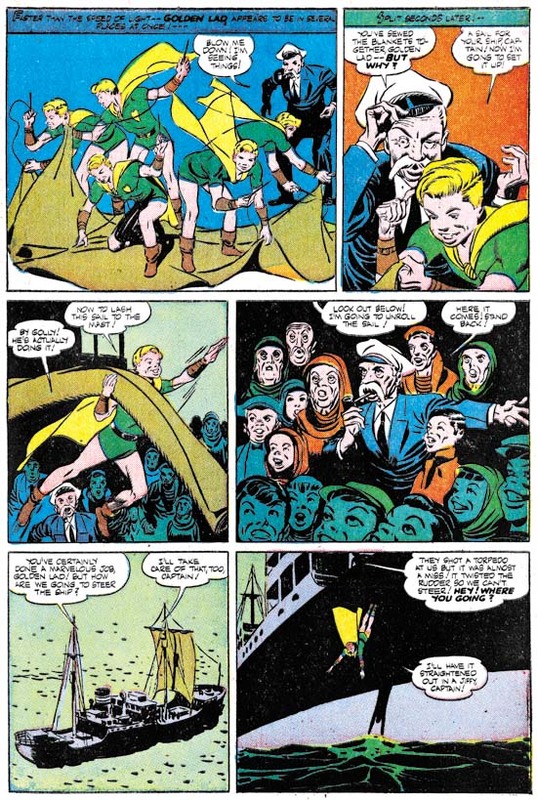 This cover of Batman and Robin meeting the Boy Commandos is unusual in that Jack has provided a more realistic rendition of the Commandos compared to how he normally did these characters. 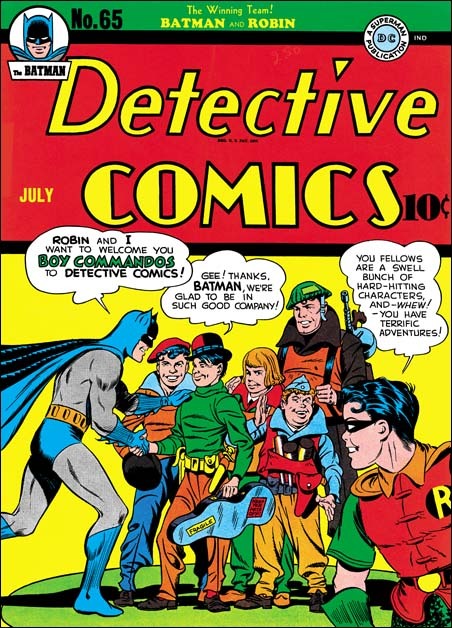 I do not understand why he thought this was necessary since Batman and Robin were done in a unrealistic, more cartoony, fashion and Jerry Robinson’s effort on this cover is no exception. 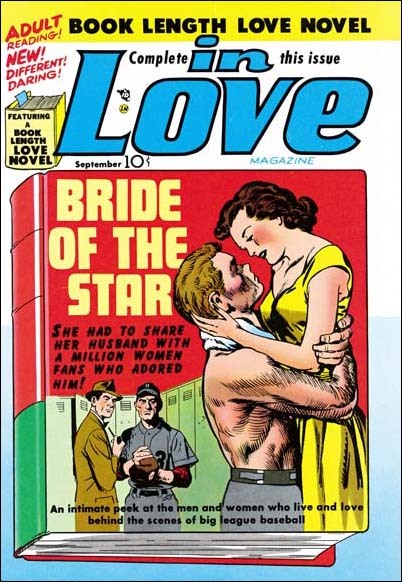 Still the cover is a rather nice joint effort. 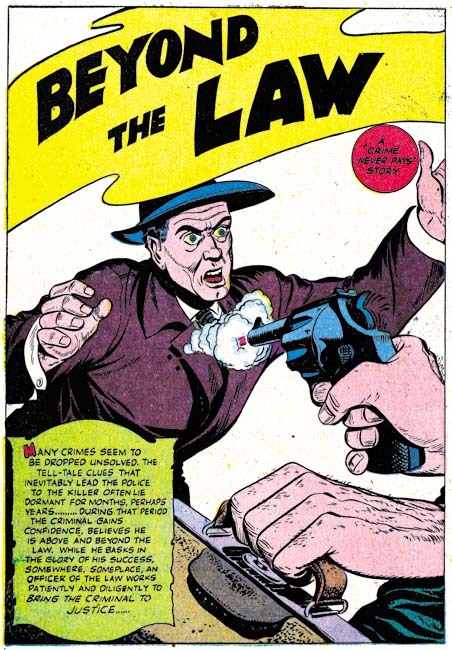 Although Jerry started his career helping Bob Kane, at the time this cover was done he was working directly for DC. 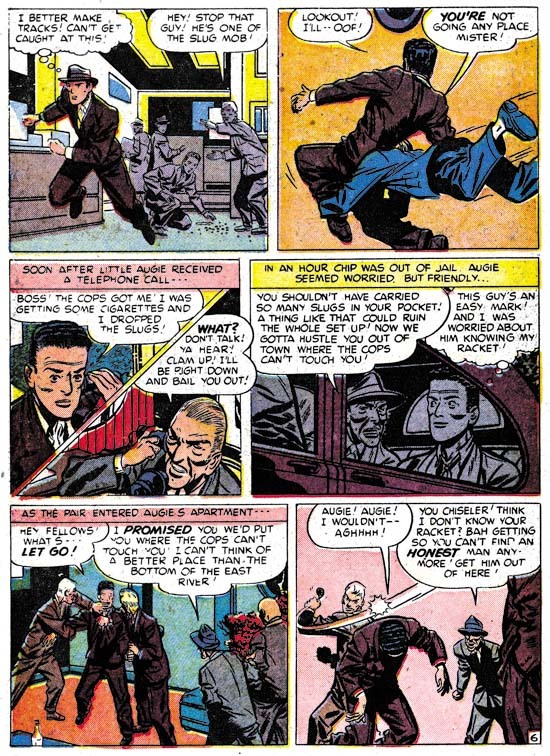 After the war when Joe and Jack were producing their own comics Robinson would do two stories for them. 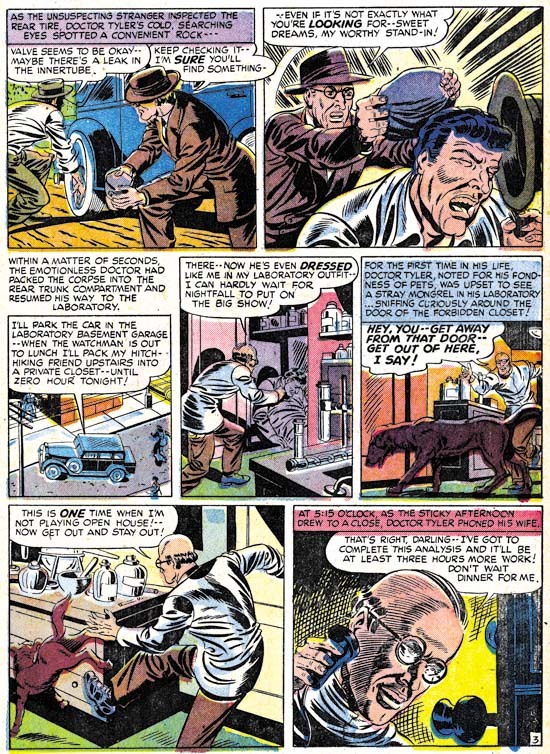 This work was done with Mort Meskin. 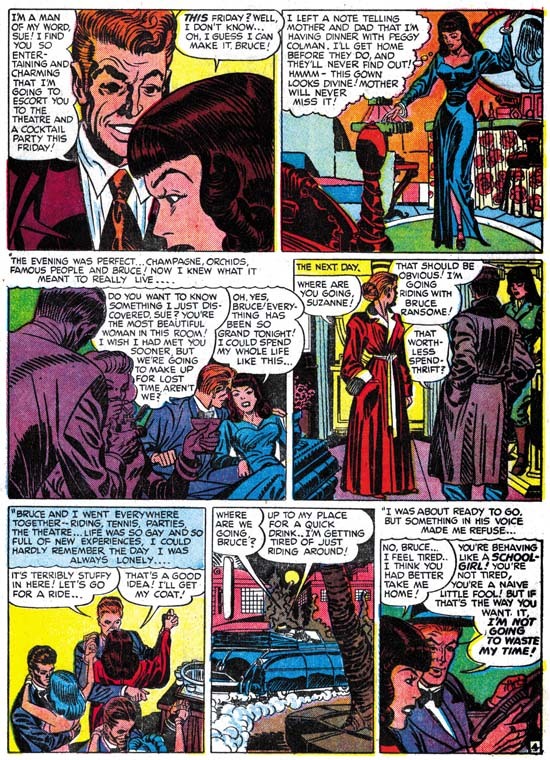 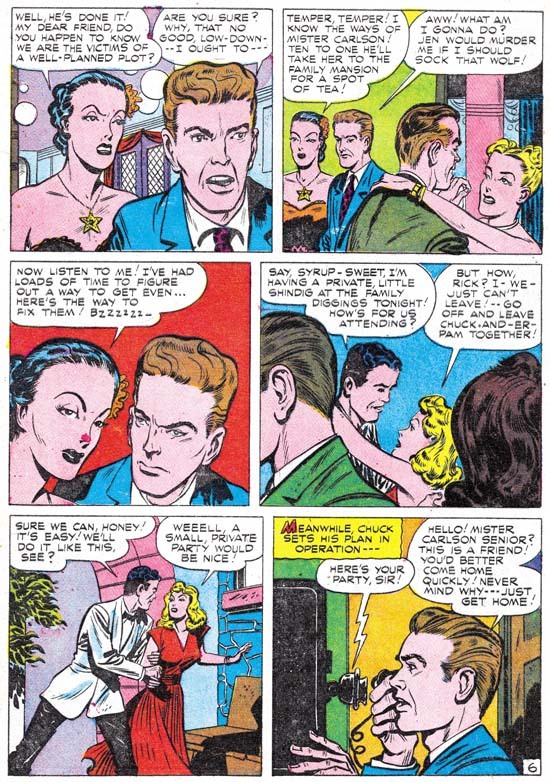 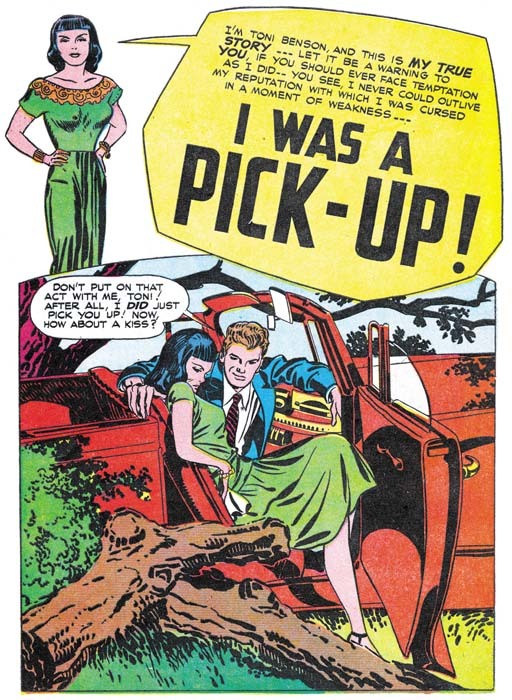 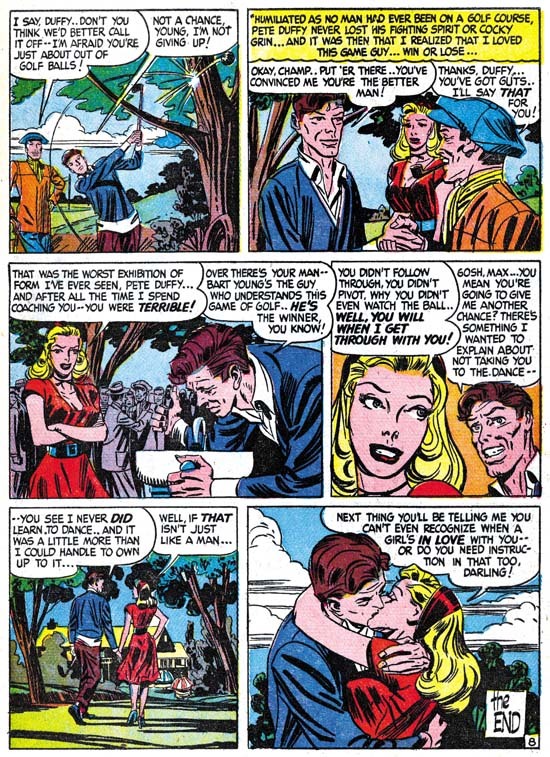 I have already include a scan of one of these stories (Young Romance #6 July 1948) in my post on Mort but I include here another page from that story. 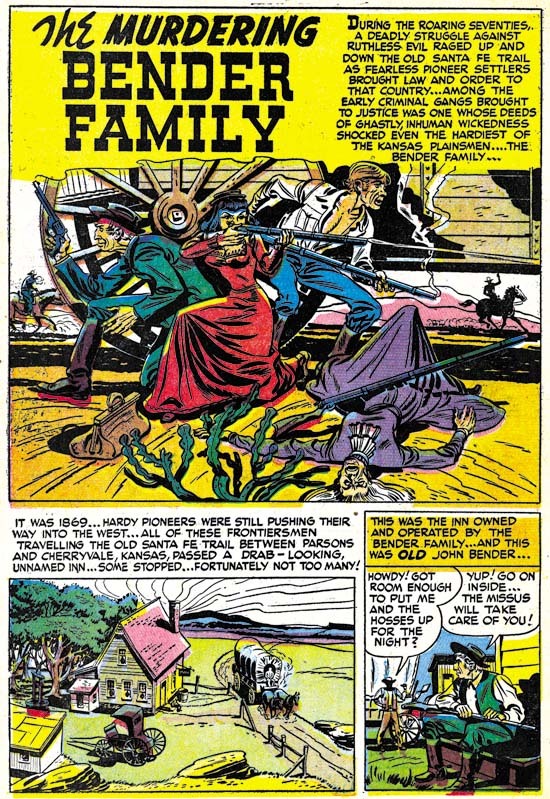 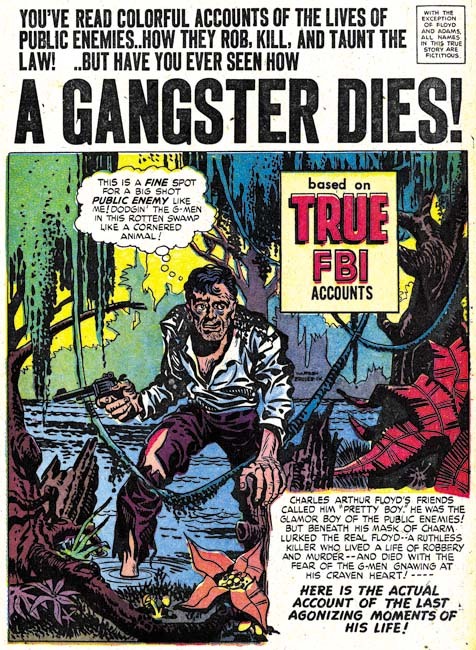 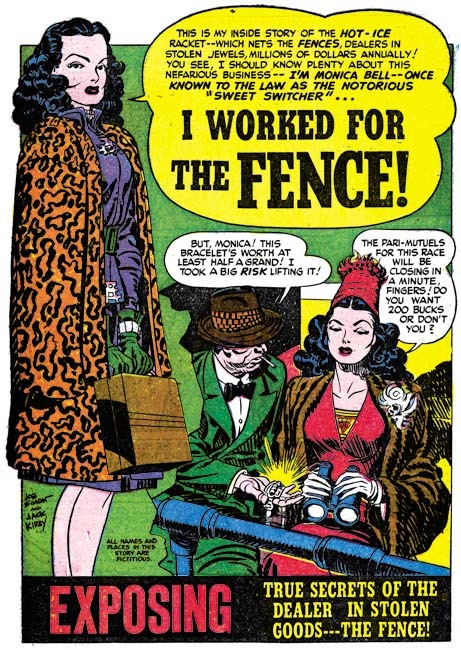 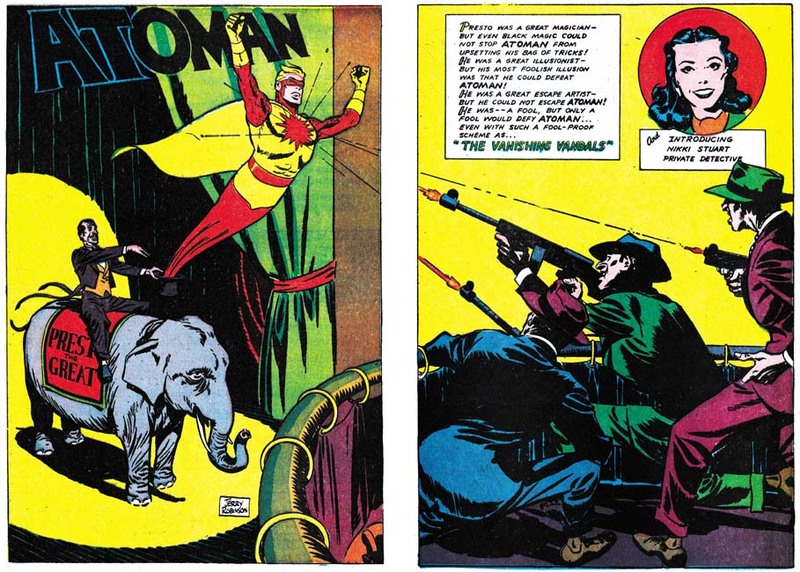 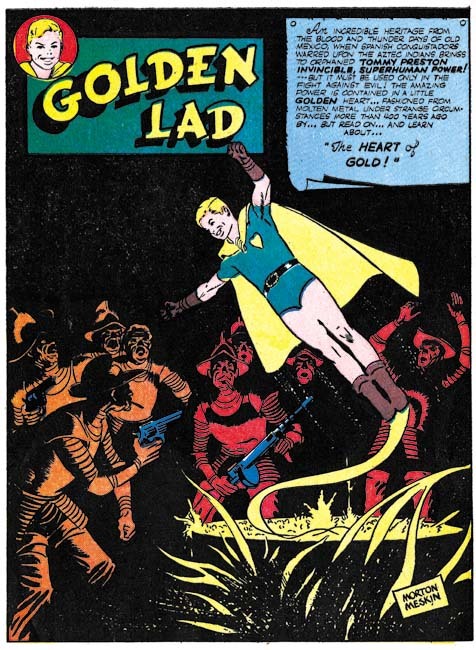 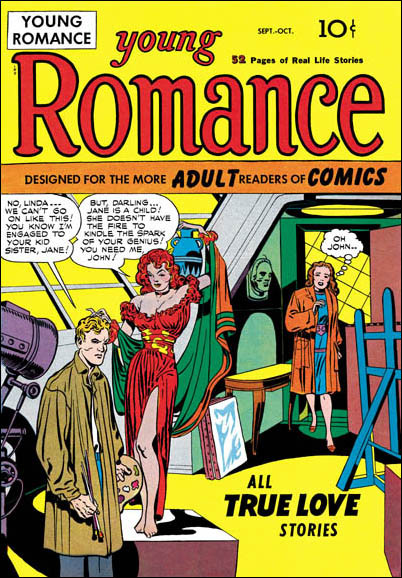 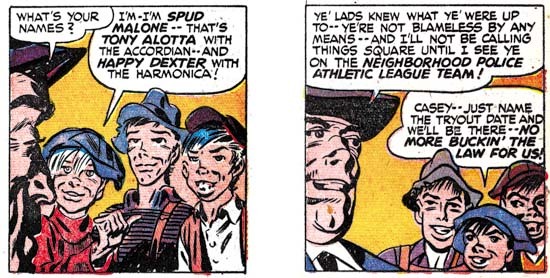 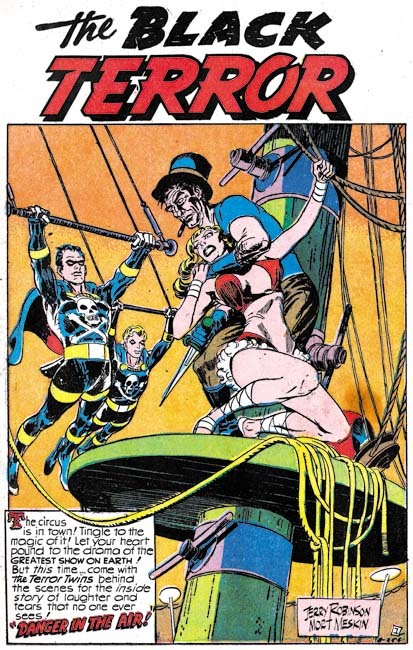 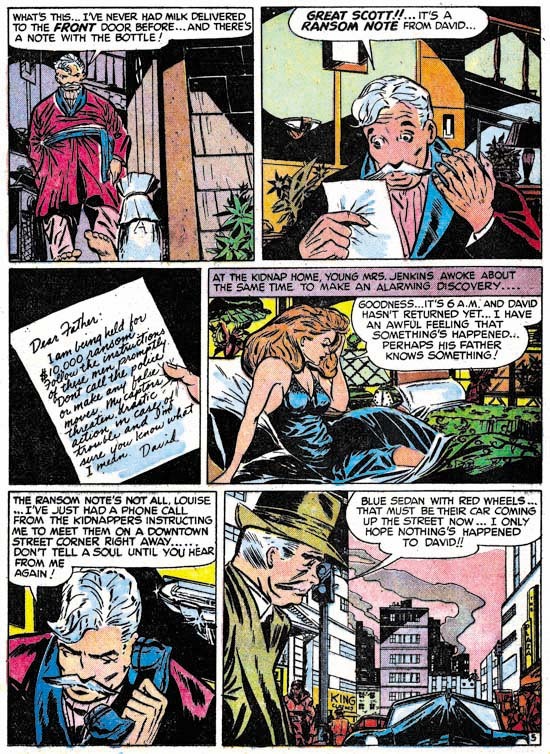 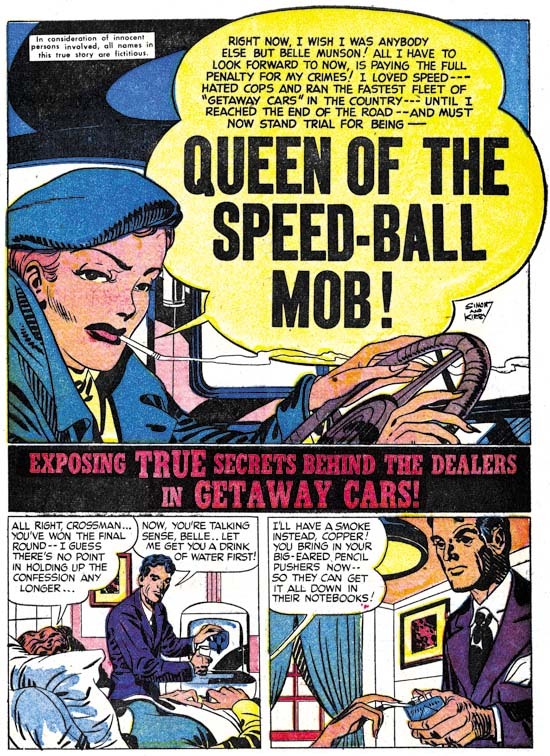 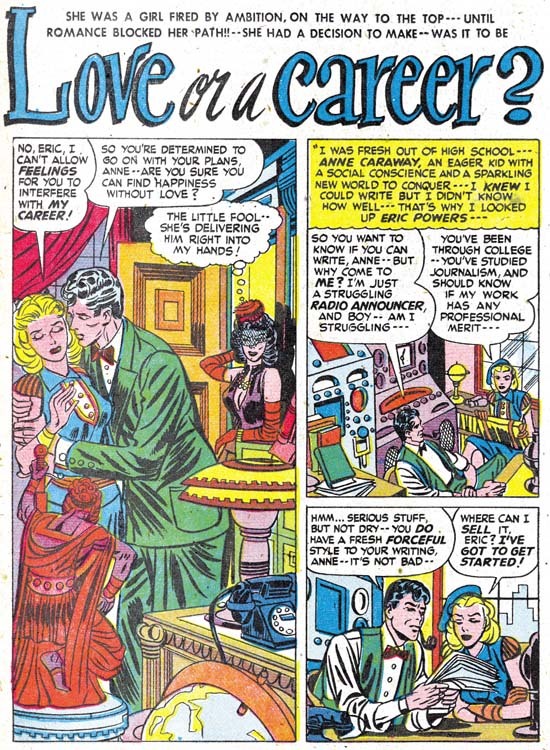 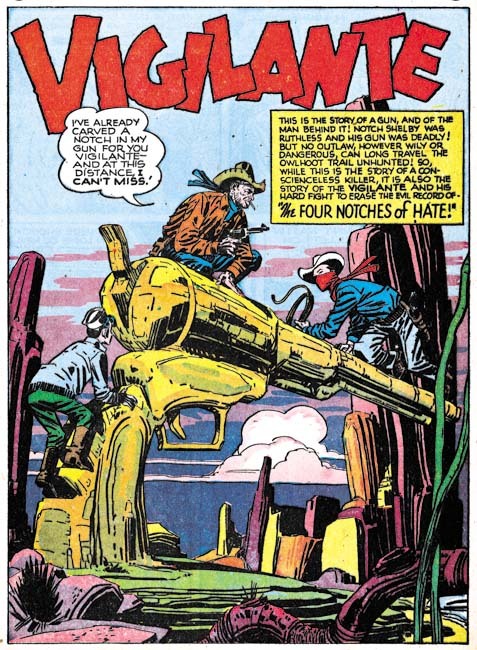 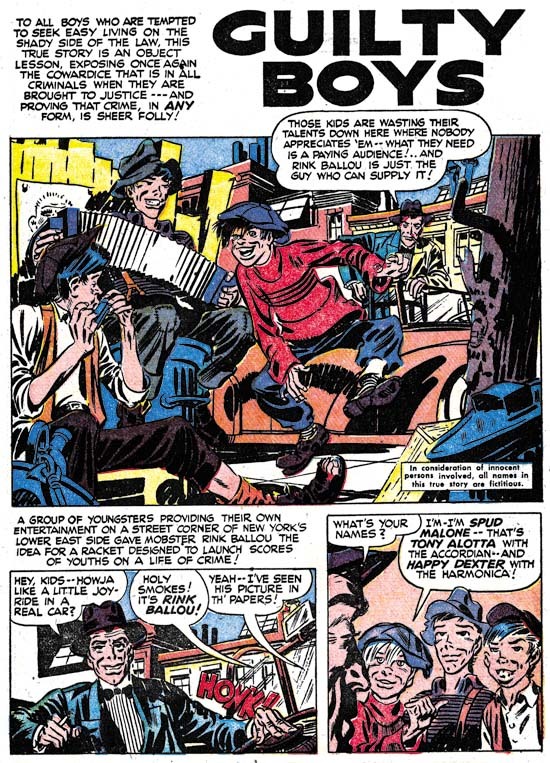 Mort was a talented penciler with his own easily recognized style. 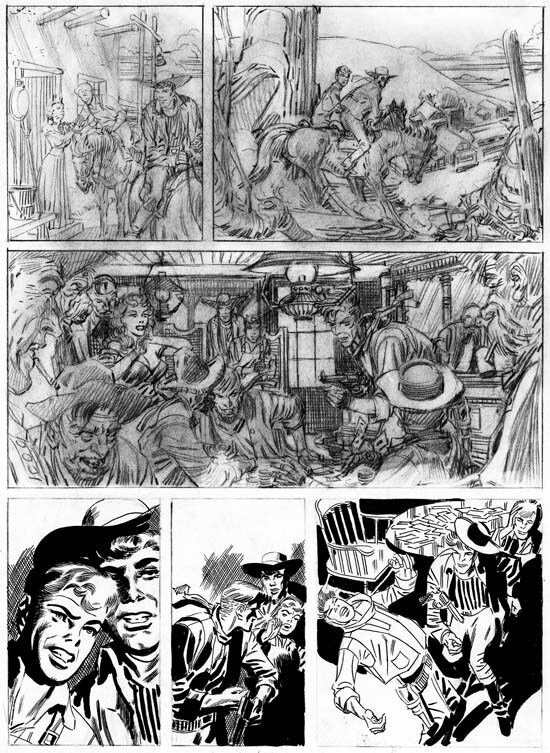 But this YR story does not show much of that style so I believe it was primarily penciled by Jerry and inked by Mort. 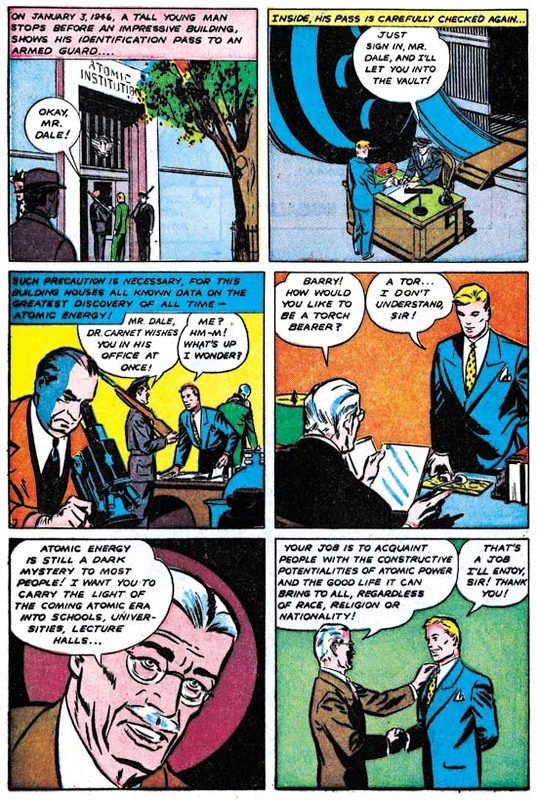 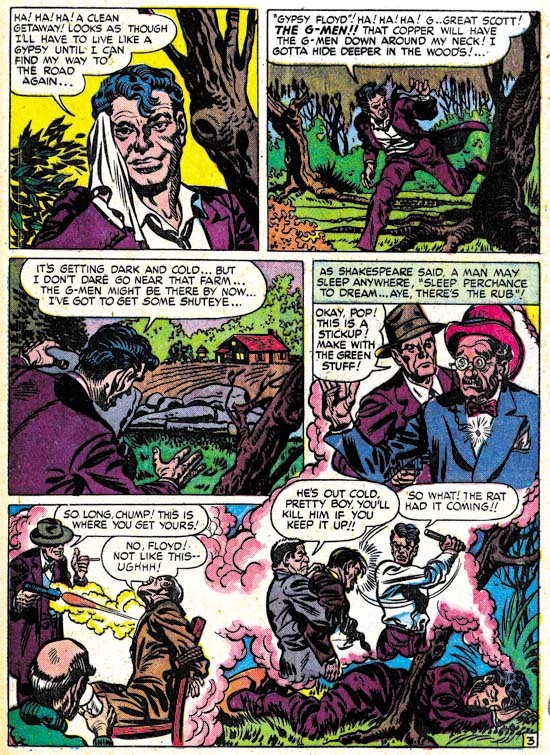 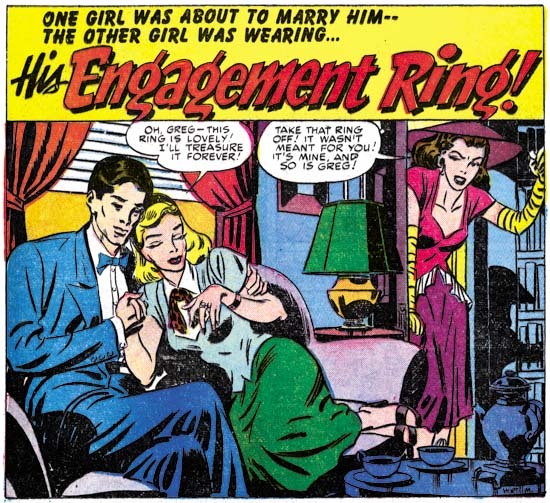 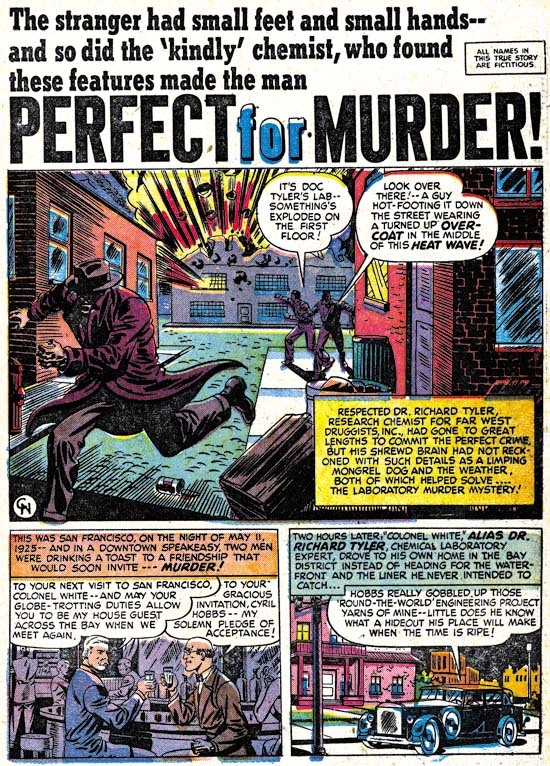 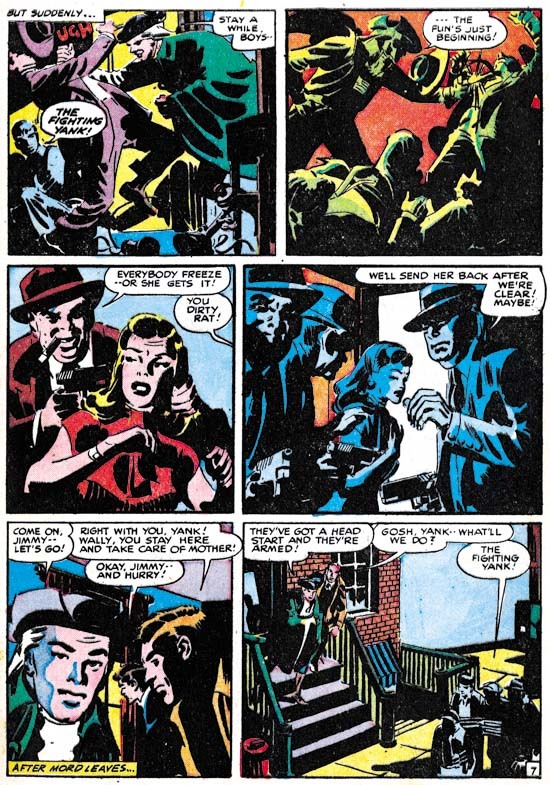 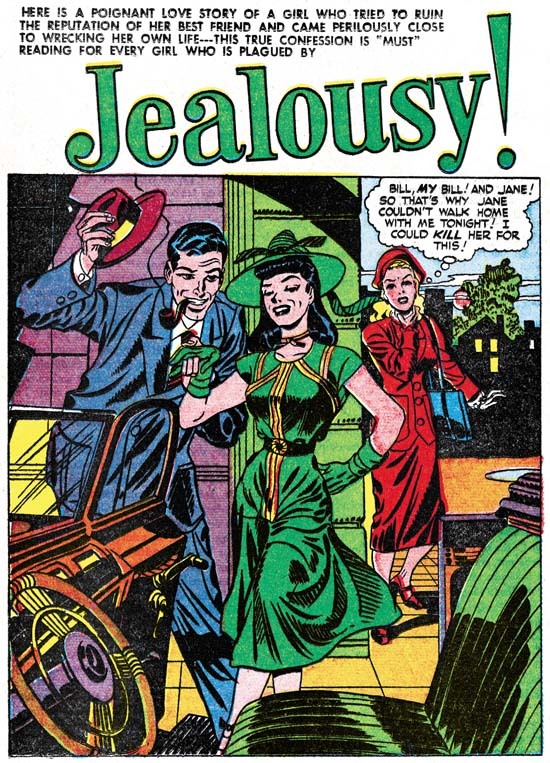 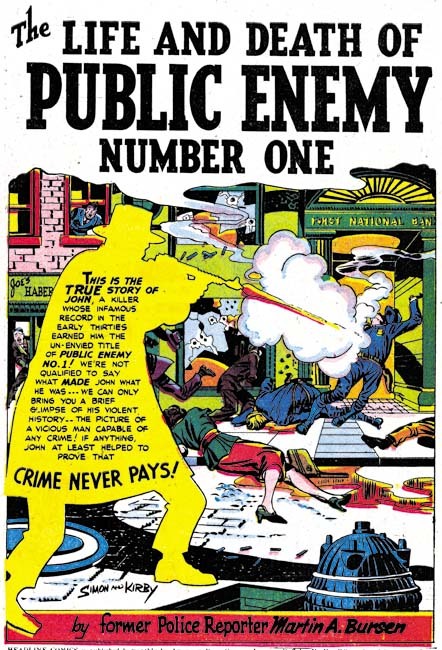 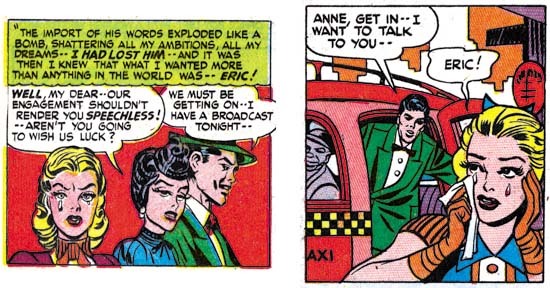 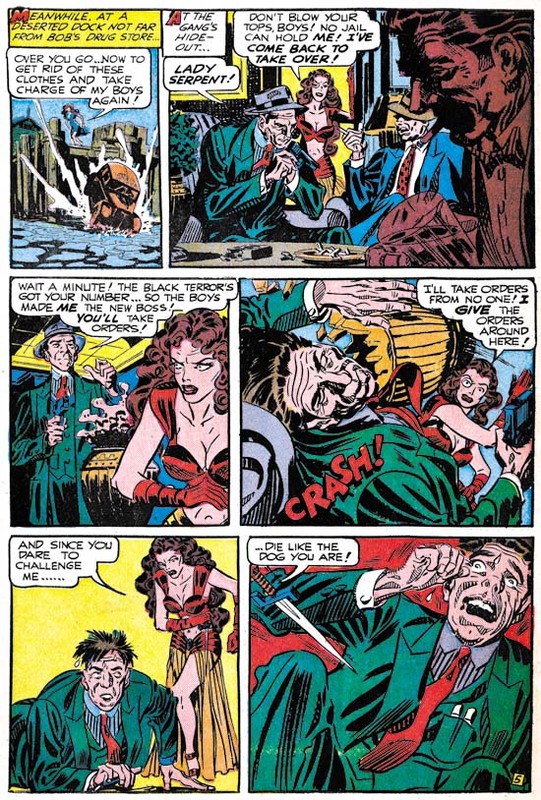 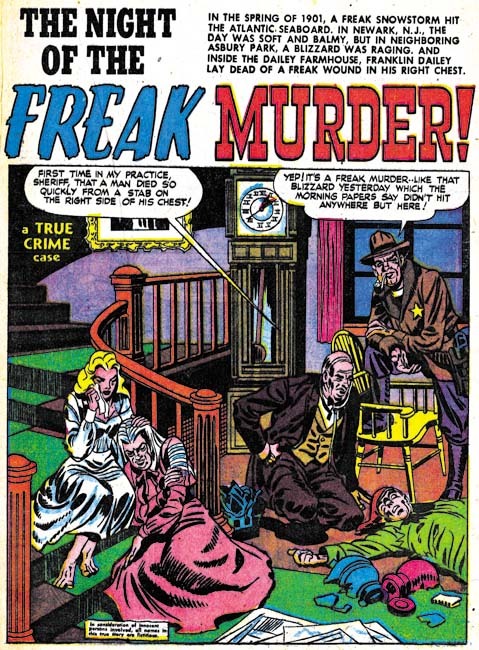 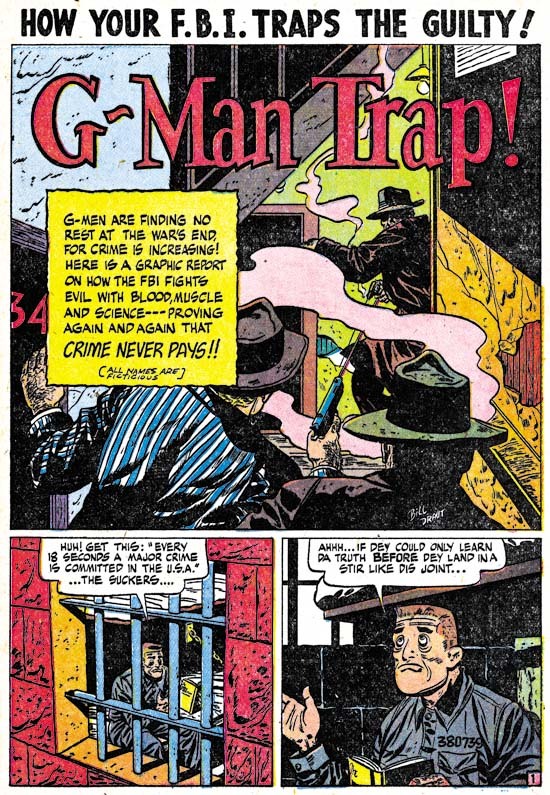 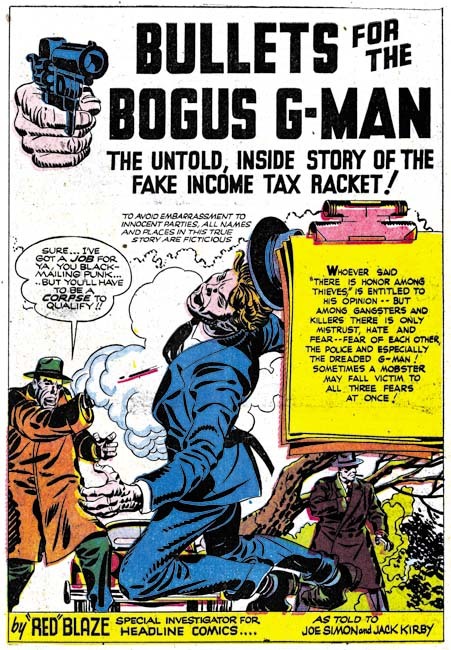 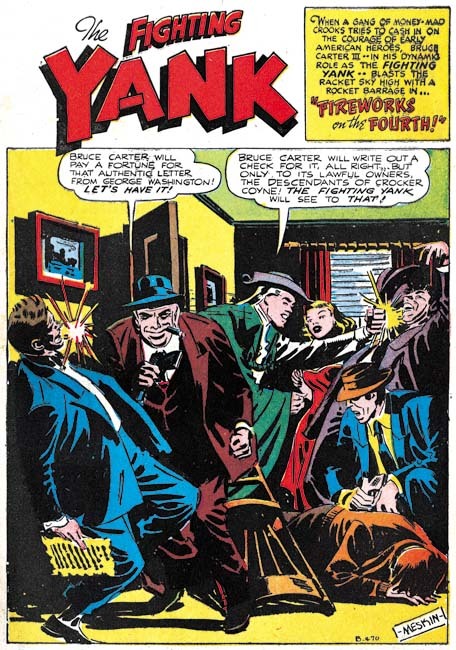 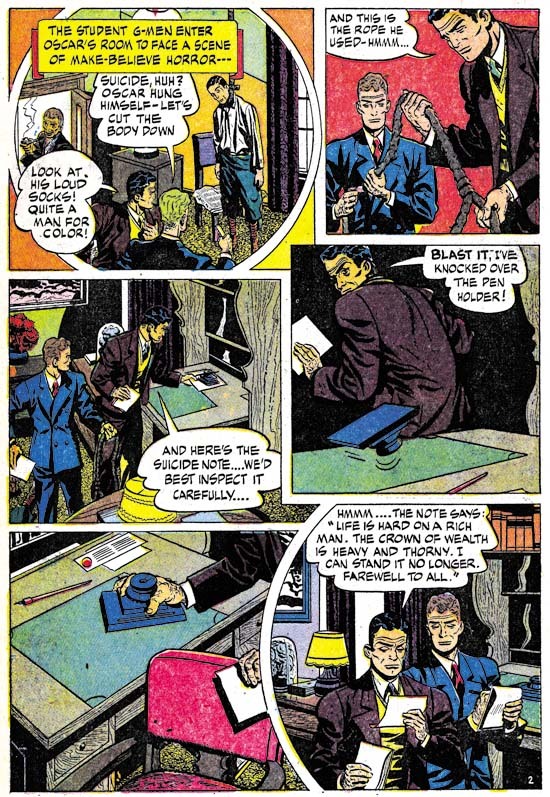 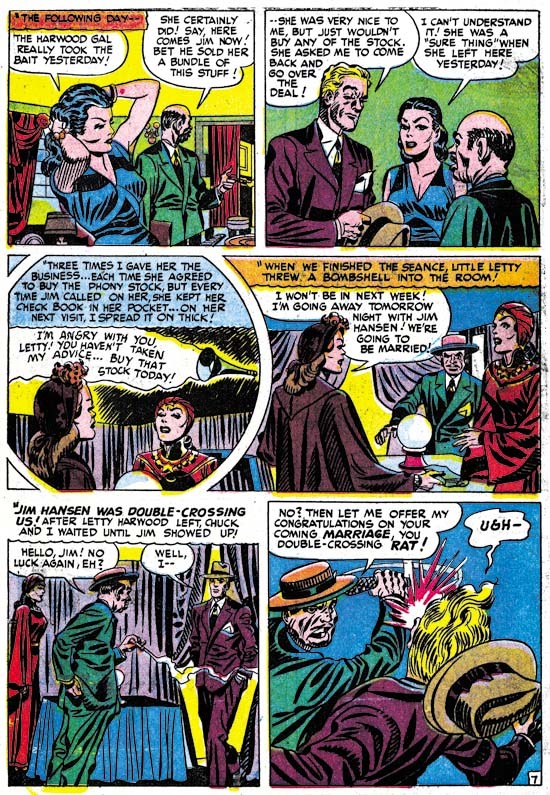 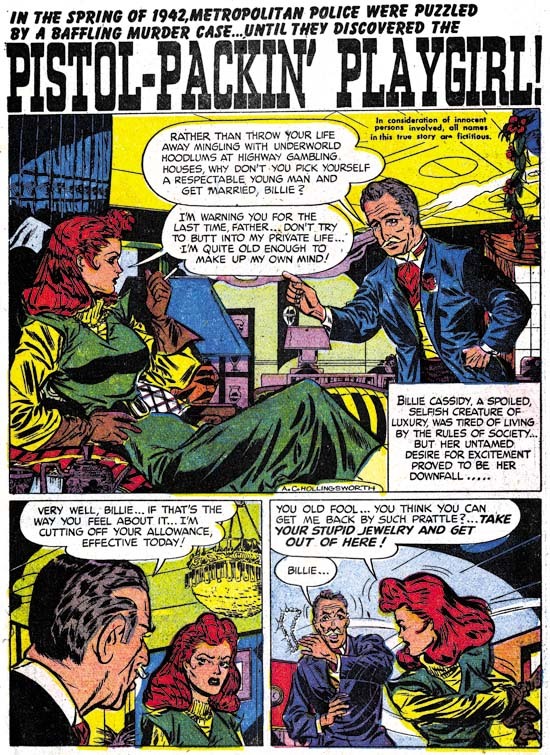 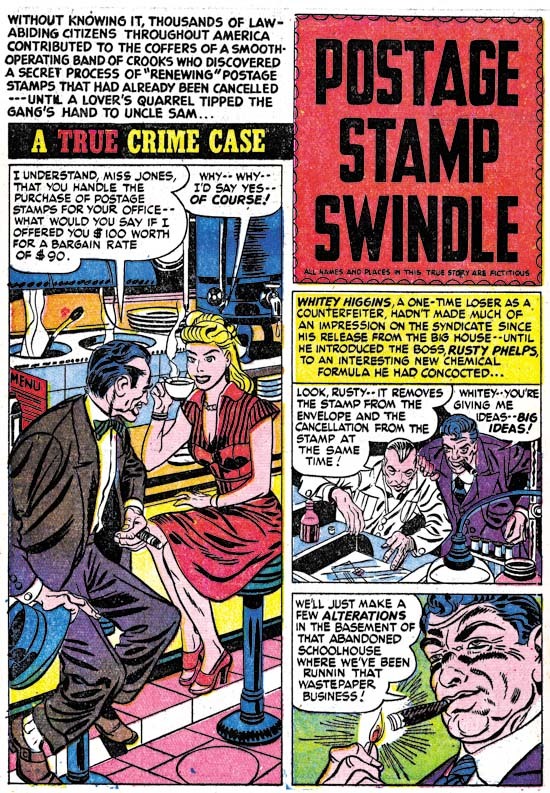 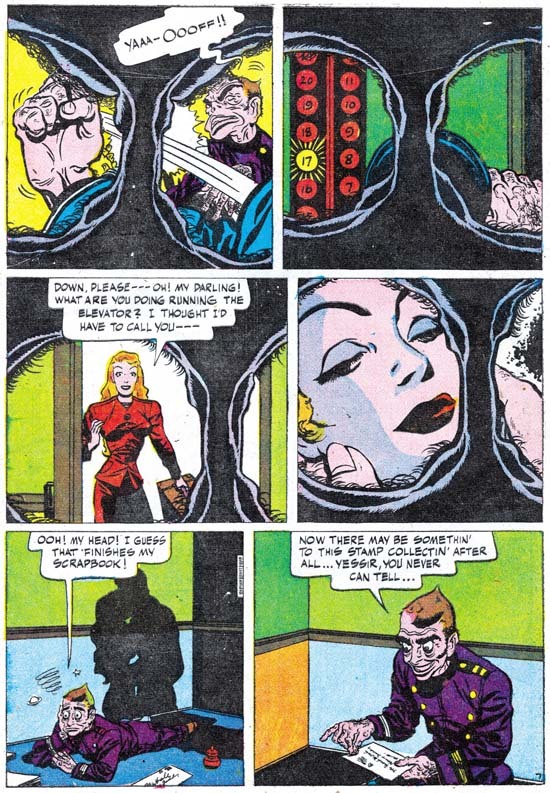 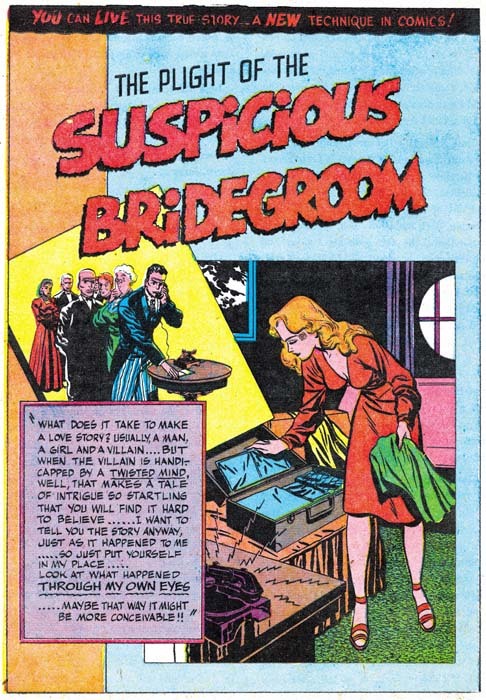 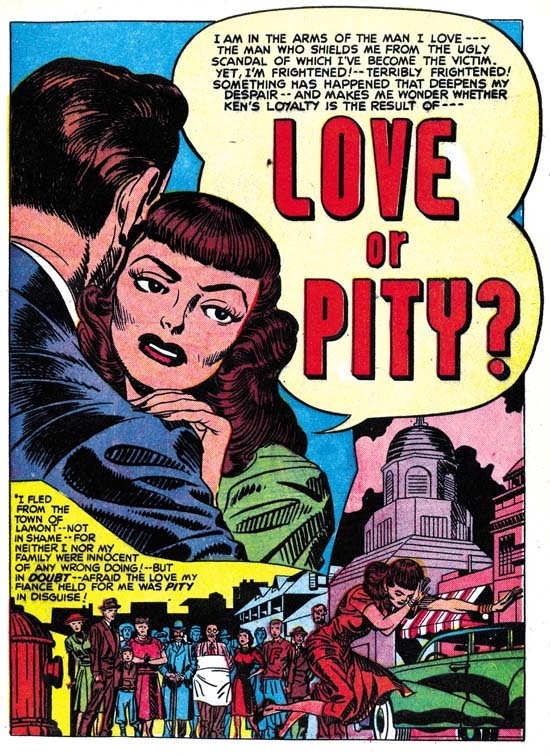 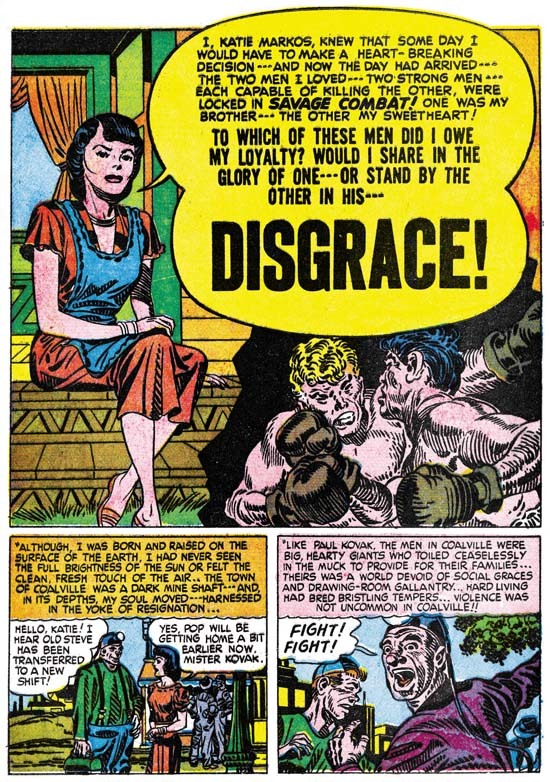 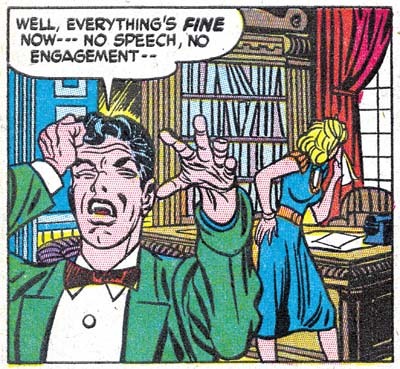 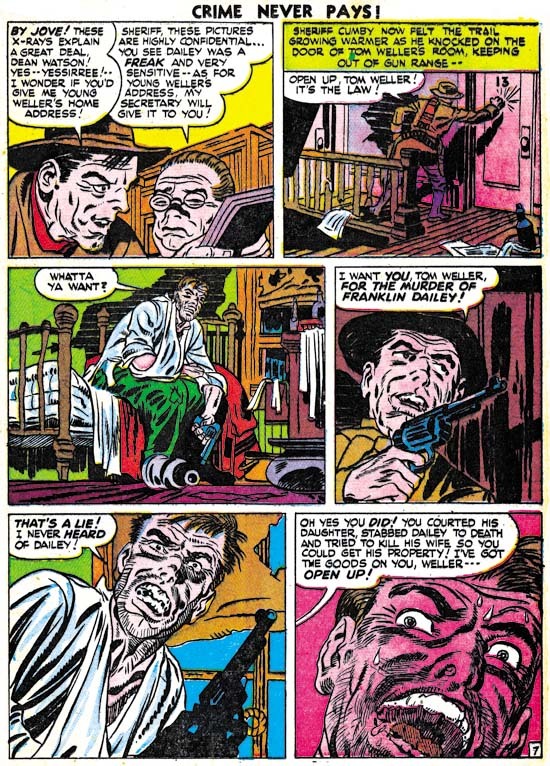 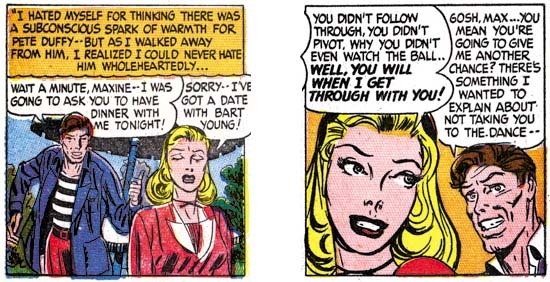 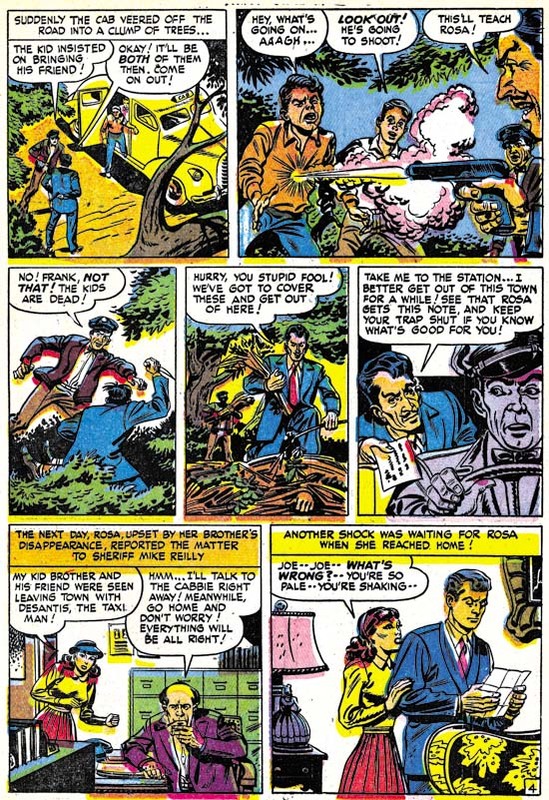 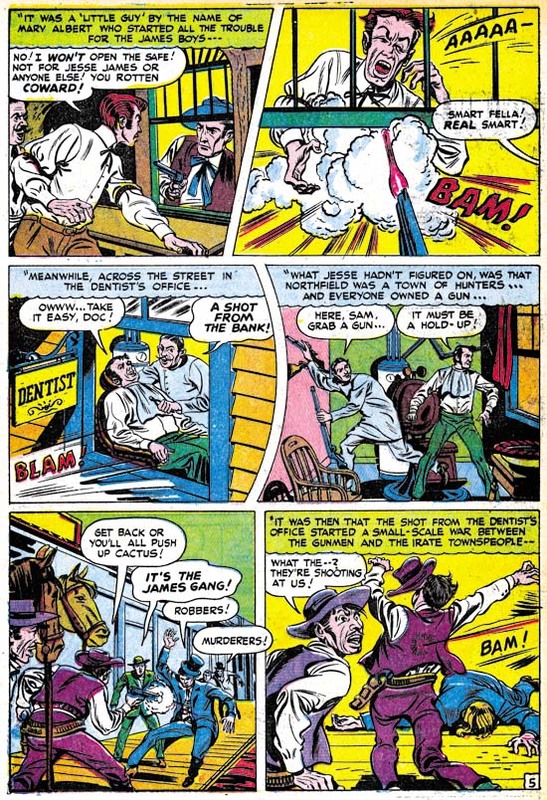 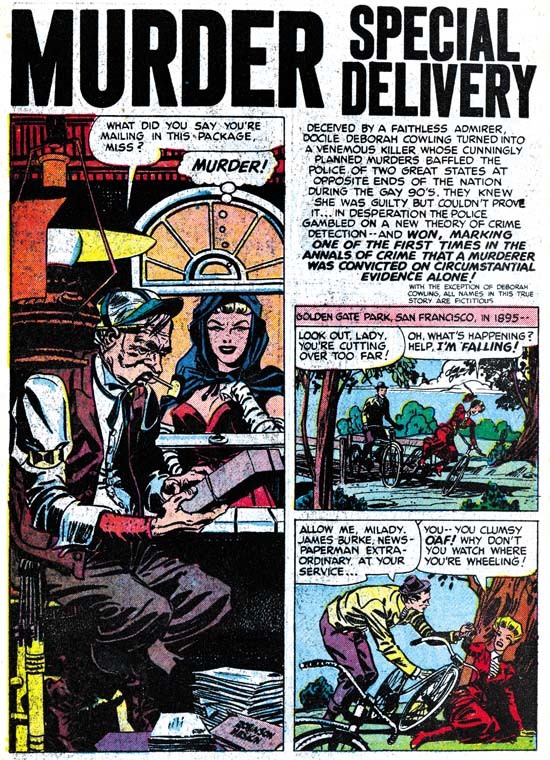 But the other story (Justice Traps the Guilty #5, July 1948) has all the signs of a work by Mort and so I believe Mort penciled while Jerry inked. 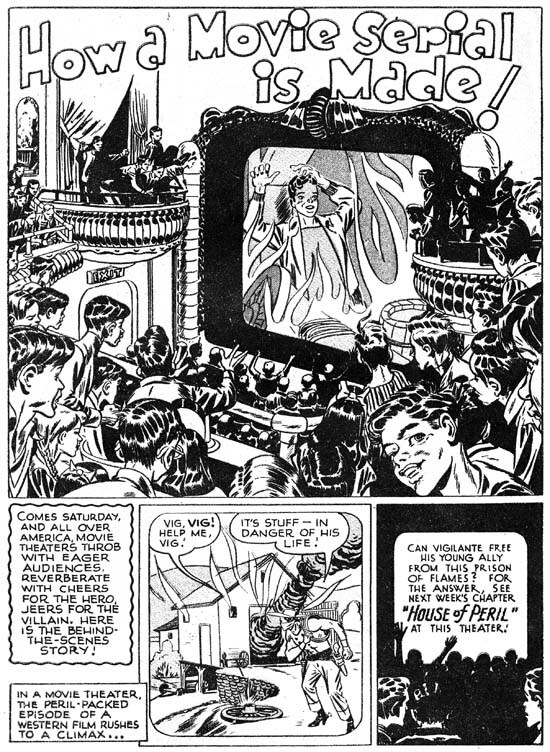 Of course as with any collaboration such attributions probably greatly over simplify how the work was truly being done. 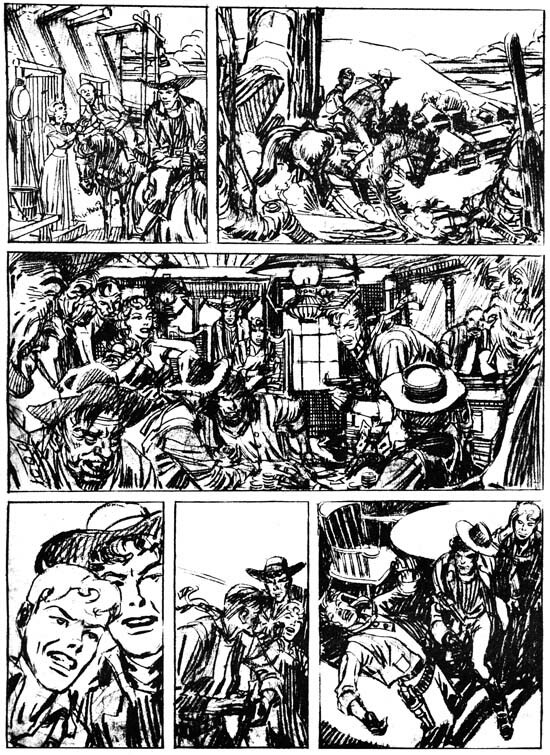 However the work was divided it is pretty good stuff. 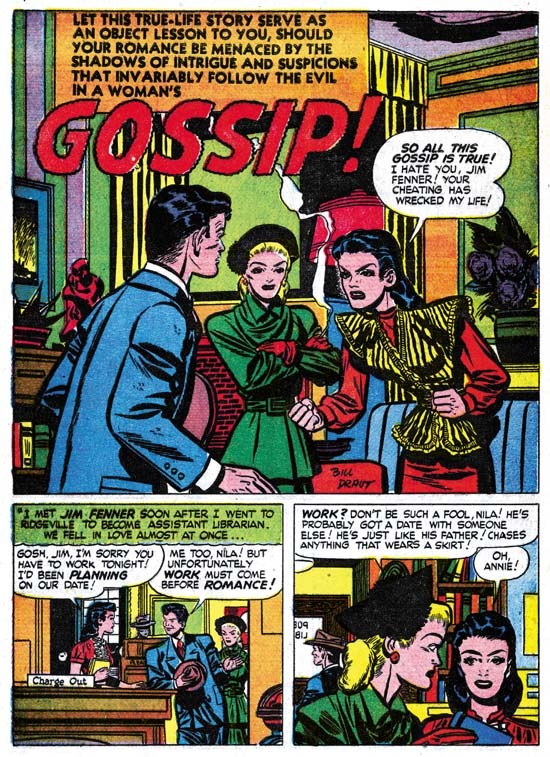 But for whatever reasons the team of Robinson and Meskin went their separate ways. 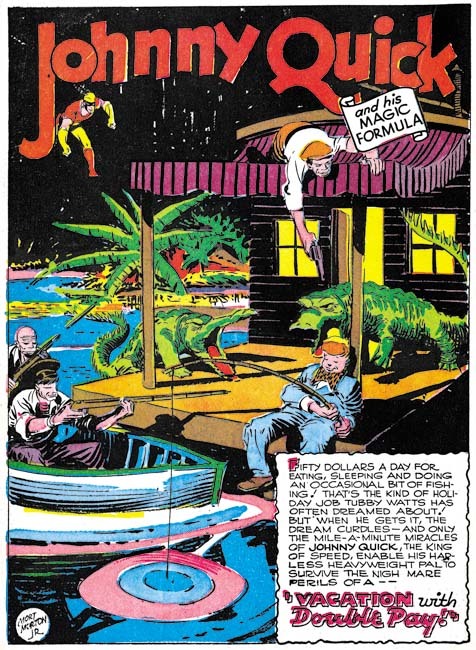 Jerry would go on to work on a syndication strip and work outside of the comic book industry for a few years. 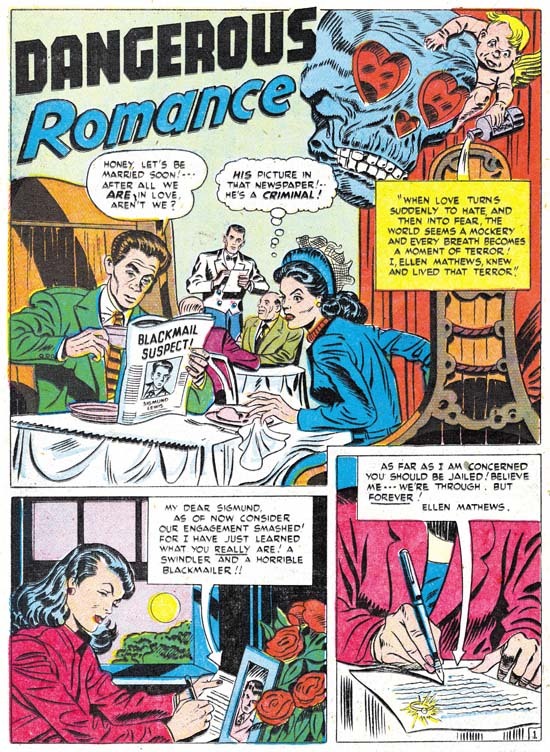 Mort would become a frequent artist for S&K productions and would actual work in the studio. 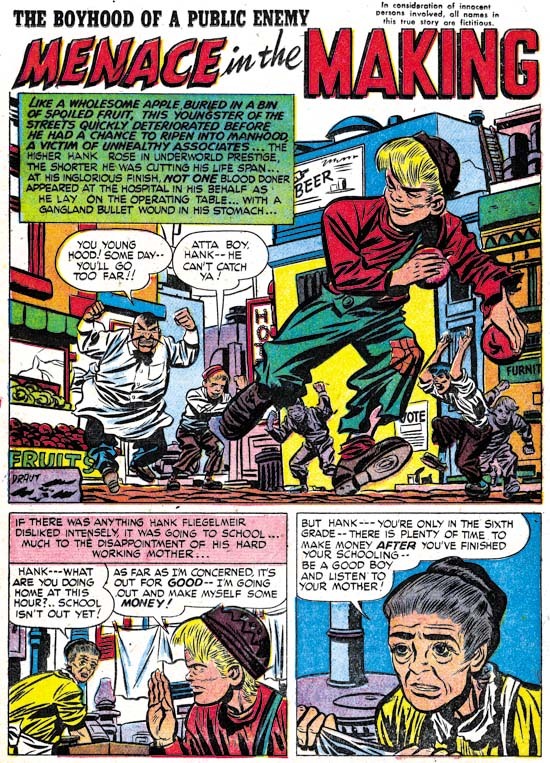 Joe Simon attended the first New York Comic Con. 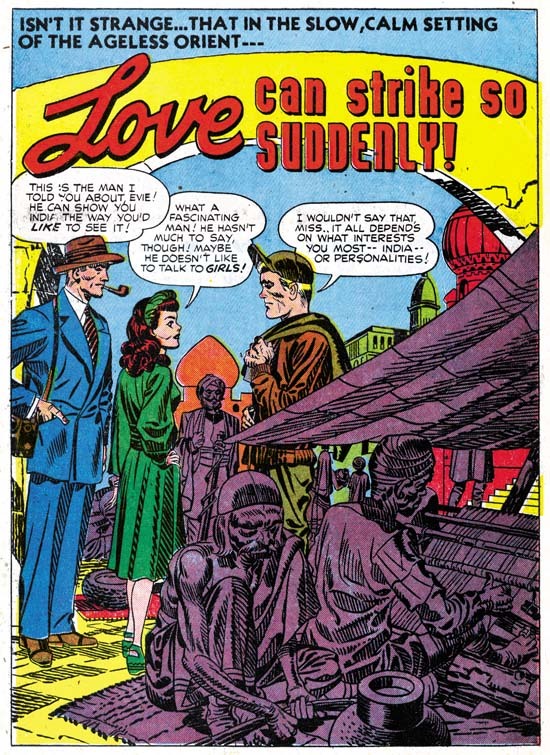 While there he was greeted by Robinson. 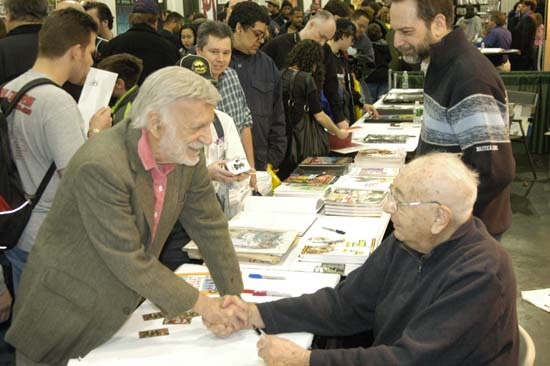 Later I commented to Joe how well Jerry looked. 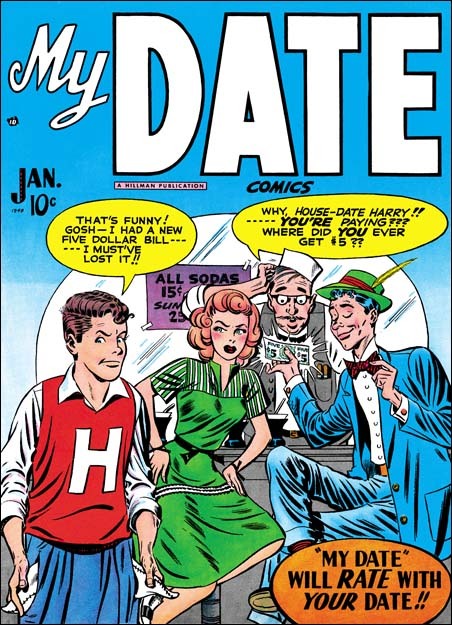 Joe said sure he looked good, he was still young. 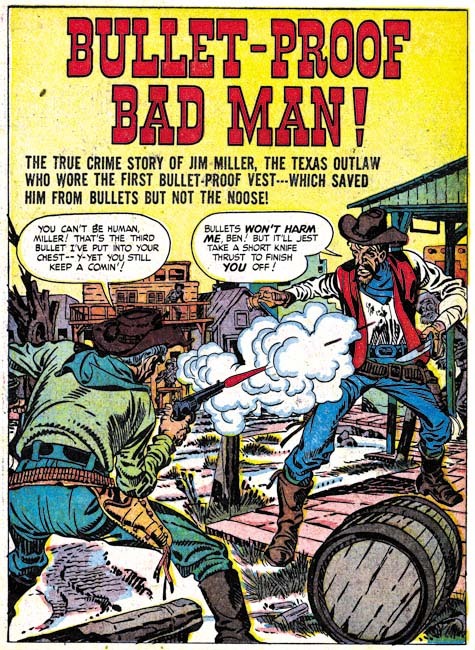 I guess it is all a matter of perspective. 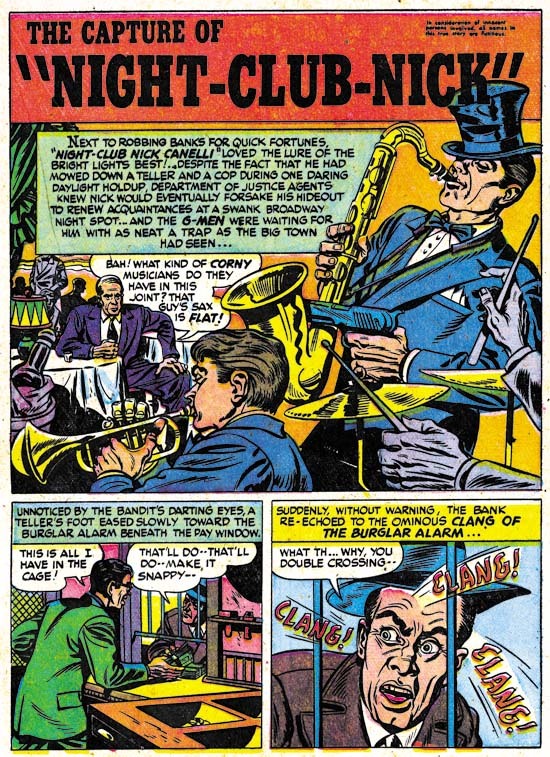 By the way that is Joe’s son Jim Simon behind Joe. 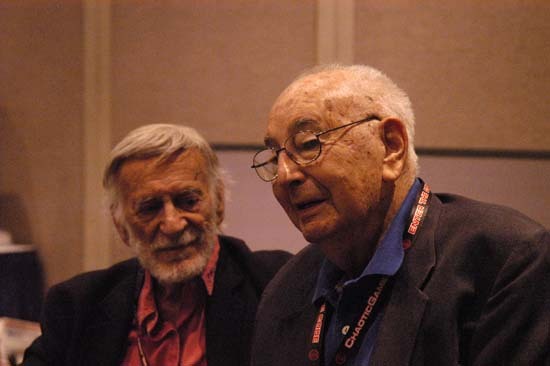 Jerry Robinson and Joe Simon (2006).